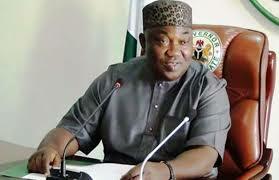 A frontline socio-political pressure group known as Enugu Youth Coalition has hailed the governorship candidates of 26 political parties in the state for stepping down and endorsing the re-election bid of the state governor, Rt. Hon. Ifeanyi Ugwuanyi of the PDP. The group further noted that anybody contesting against the God-fearing governor of the state is not only destined to waste his money but also will be ostracised in the state in future political arrangements of the state.